Thank you so much for all your help with Dross! You helped us shape him from a puppy to a well behaved two year old dog. He consistently follows commands and directions that you taught him. You had such patience with Dross and with us. We appreciate all the time you took and the questions you answered even when our class time was over. You never rushed us out or made us feel like we could not ask any “dumb” questions. Dross loved coming to class every week and so did we. We were very lucky to have you as Dross’ trainer. We will definitely recommend you to our friends with “wild” dogs. Max, our 7 year old Chocolate Lab, had been growing more unpredictable around strangers for the last 4 years; viciously barking, breaking leashes, lunging, jumping on doors, fences etc. We often excused his behavior as being over protective of us and wouldn’t have people over with him around. We watched hours of the Dog Whisperer and bought every training aid we thought would help, but he still acted out. That was until April 2011. Last April as my husband, Tony, was trying to put a collar on Max he went into a fit of rage. My parents had just arrived and Max didn’t want to be controlled; commanded to sit, stay, leave-it etc by Tony. So he (Max) chased Tony down the hallway barking while showing an aggressive behavior. Frightened by Max’s behavior, Tony had had enough and wanted Max gone! No more putting it off or making excuses, gone! Done with boarding him just because we feared what might happen with guest over, gone he demanded. Since Tony tried to get me to discipline Max for years, it was to be my job to find him a place to go. I began that evening; I contacted Rescue Labs of Georgia, but didn’t get a response. So over that weekend, I searched for a place where Max wouldn’t be put down because of his behavior. How could this beautiful, intelligent dog we’ve had since he was 6 weeks old become so skit-so? Where did we fail him? Well, call it divine intervention or something, but on Monday a Groupon for MBF popped in our e-mail and I purchased it. We (me, Tony, & Max) went for an assessment to determine the extent of Max’s issues. After listening to us explain Max’s rage, the counselor confirmed he was a bit aggressive so, we decided on the 2-week boot camp training. We returned the next day with Max and “signed” him over to them without knowing much about Eric except that he was to be his trainer based on Max’s aggressive tendencies. For the next 2 weeks, we didn’t see Max but received updates from Eric. After the 2 weeks, we returned for reintegration and met Eric in person. We first observed a brief training session between Eric & Max and were immediately blown away by their relationship. We always knew Max’s “circle of friends” to be very tight and thought he certainly didn’t have room for any new ones, especially a male. Words can’t express how we felt as we observed them interact; could that really be Max? After being reintroduced to Max and given instructions/homework by Eric, we left with Max. Literally, tears of joy filled our eyes to see Max and to know he (we) were on the right track for a long continued life with him. While Max has tested us at times over these last 10 months, we’ve passed with flying colors thanks to the “tools” and training Eric gave us (the 3 of us). We’ve visited Eric for group training on numerous occasions and are still just as amazed as we were last year. Max knows his boundaries and gets along with other people AND dogs now. Max, like us, adores Eric and we know respects him too. It’s hard to explain, but we know just how close Max was to no longer being a part of our family. So if a 7 year old “crazy chocolate lab” can be reborn in 2 weeks, then much needs to be said about Eric’s skills. We even take our other dog, who’s easy going, to Eric’s as often as we can just because his ability to connect with dogs of every breed is simply amazing. From Tony & Dina T.
After our house was broken into, we adopted Coco as a three year old. We loved that she sounded vicious but was sweet as could be with our children. Unfortunately, as with a lot of rescued animals, she had a lot of “wild” in her. She would not listen to any of us. We couldn’t even take her on a walk because she would pull in all directions and run so fast after other animals that the kids would drop the leash and/or the adults would have sore arms afterwards. We heard of Eric Scott from a friend whose unmanageable dog avoided returning back to the pound after a last chance training session with him. Coco lived with Eric for three weeks and when we went to pick her up she was a changed dog. My son took one look at Eric and Coco walking out to us and said, “He’s the Master”. We were all shocked and surprised at the way she was listening to him. He spent about thirty minutes training us so that we could follow through on what he taught her. Her days with us would have been limited had we not sent her to Eric. It is now about three years later and she still listens to us. My 11 year old daughter has been able to use his methods to teach Coco some new tricks as well. Anytime we leave town we like to board her with him because his prices are comparable and we feel she gets a little refresher course. 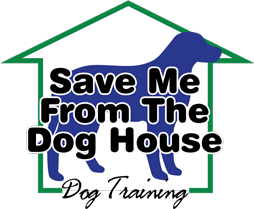 This letter is to provide our written reference for the canine training skills and abilities of Eric Scott – Owner of Save Me From The Dog House. We worked with Eric individually as well as one of his customers at Man’s Best Friend of Woodstock which closed in January of 2011. In both settings, Eric’s professionalism and dedication to his work were superb. Eric worked with our entire family to help harness the energy and improve the obedience of our very spirited Doberman. We have enjoyed the insights and effectiveness of Eric’s unique understanding of our dog’s intentions, attention, and motivation. He is also very patient while the family members learn about signals they may be sending that contradict the behavior they want from their pet. We are completely confident to board our dog with Eric and have on several occasions. We realize how important a personal reference can be for someone who loves their pet and wants to ensure their comfort and safety. We are confident in our experience with Eric and have referred him to friends and other dog owners. Enter Cera. Cera had a terrible beginning in her young life as a bait dog. She soon found herself abandoned in the streets too blistered to walk, too hungry to eat, and too scared of people to seek shelter. I always tell people that Cera adopted me. Upon visiting a pet store, I was sitting outside waiting for the husband to return from purchasing some fish food, when Cera walked right up to me and just settled into my lap and fell fast asleep. Her foster parents were in shock, as she NEVER goes near people. After hearing about Cera’s difficult past, I had no choice but to save her. Hope you and your new business are doing well. Here is a letter and attached photo from Emma that you can use for your references. Emma was a rescue pup who joined our family in 2008. She is a German Sheppard/Husky mix. She’s very outgoing, vocal and energetic dog who soon needed obedience training. We met Eric shortly after Emma turned 3. Eric was very patient with Emma. She soon learned basic commands such as; sit, stay and down. After group training, Emma became much better at performing commands with distractions. She is much better on walks and obeying around the house thanks to Eric. Emma also earned her Canine Good Citizen Certification under Eric’s guidance. Congratulations on your decision to go into business for yourself. I am confident that you will be very successful. Please let me know if or how I can ever help you grow your business. You are a true professional. As you know, we adopted two Golden Retrievers from a rescue group. They were “puppy mill” dogs who had been treated horribly. They were scared of everything except for other dogs. They wouldn’t let people get close to them and after two years of trying to rehabilitate them, we found you at Man’s Best Friend. You did wonders and even taught them to be dogs for the first time in their lives. We still have a long way to go with them but they are a 100% better since you started working with them. We hope to continue their training once you are settled. On behalf of our entire family and Noel and Holly, we thank you for everything and wish you continued good fortune in your new endeavor. On behalf of our family, thank you for the excellent work you did with our miniature Schnauzer, Max back in November 2010. Your “puppy boot camp” made a huge difference and really helped us all (including Max!) work better together. The follow-up instructions you provided were excellent as well, and we still refer back to them when little issues pop up from time to time. I will certainly recommend you without hesitation to any of our friends and neighbors who are looking for some help getting their own dogs on the right track. We can highly recommend Eric Scott as a dog trainer and care giver. Eric truly loves dogs of all breeds, sizes, and temperaments. His training method works whether your dog is a pure-breed or just a mutt; an alpha male with territorial issues or fearfully submissive or a bundle of excited puppy energy. The hallmark of Eric’s training is lots of praise for wanted behavior and immediate, firm correction for unwanted behavior which allows the dog to learn quickly what the acceptable behavior is and what is not. There is never any cruelty or harsh treatment in his training methods. Eric has a tender heart for dogs and it shows in the kind, gentle, respectful attitude he has towards the dogs and their owners. Eric is very competent and knowledgeable in the handling of dogs, in all situations, from those who are timid and afraid to those who show aggressive tendencies. Greeting, a training technique where dog and owner greet other dogs, is done in every group training session. The greeting is a very effective way to help dogs with their socialization skills. Tone of voice is another important aspect of the training. Eric uses a calm, friendly, loving tone to approach the dog and when the dog is behaving, but his tone deepens and is commanding when the dog is disobedient or not paying attention. The training collar is another way Eric gets the dog’s attention and can give needed correction. Eric has a unique ability to read dogs and their owners to determine what training techniques will work best to produce the desired results. Eric uses a variety of techniques and exercises to train. As part of advance training, Eric adds distractions, so the dog’s focus is on their owner’s voice and hand commands only. Attack training is available for those who want it. Eric is a confident trainer who takes pride in his work. Eric knows dogs! We have also boarded our dog at Eric’s home and have been very pleased with the care and attention given. Shadow himself recommends Eric, as he cannot contain his excitement when he sees the house and jumps out of the car as soon as the door is opened. There is no fear or hesitation on Shadow’s part as he pulls to get to Eric and the house. As I wrote at the beginning of this letter, we recommend Eric Scott as a trainer and care giver without any reservations. 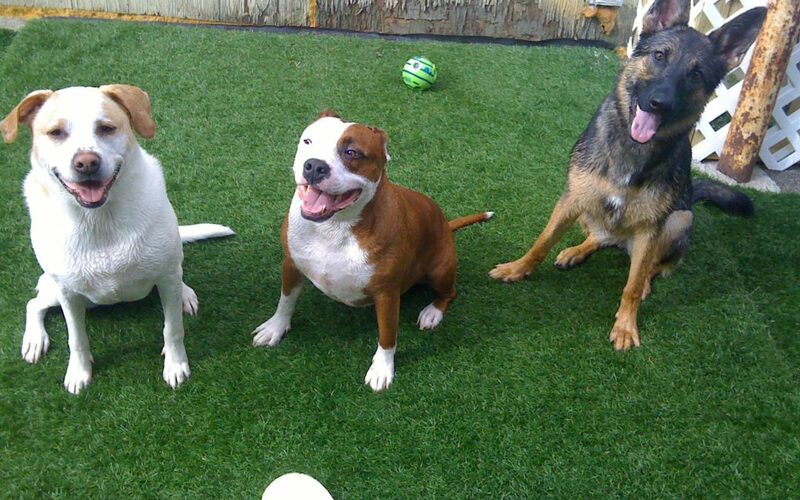 We will continue to use Eric Scott for our dog training and boarding needs. My wife and I have known Mr. Eric Scott for approximately a year. He demonstrates an abundance of knowledge and experience when it comes to training dogs. He is always courteous and helpful when there are potential challenges to training dogs. He has helped us tremendously with our Boxer, Deuce. If anyone is aware of the temperament of the Boxer (especially a seventy pound puppy) then receiving professional training is the right choice. Before we considered getting a professional trainer, every morning at six o’clock Deuce had a habit of relieving himself at the top of the stairs, jumping on the couch and refusing to get inside of his kennel. When we invested the time and effort to have Deuce trained all of those bad behaviors were gone. After training, Deuce was a totally different dog, we were proud of him and ourselves for having a well behaved companion. At all times we have found Mr. Eric to be dependable and reliable. He has kept us informed on Deuce’s progress and what our expectations should be of our beloved puppy. We recommend Mr. Eric Scott and his training services highly. I would like to recommend Eric Scott as an excellent trainer. He gave me hope when I was at my whit’s end. He literally saved my dog! My dog Bandit-I thought was a hopeless case. Eric definitely helped him and me. Bandit is a joy and a pleasure, thanks to Eric!